Simple and low cost test apparatus for continuous salt spray and condensation water testing. 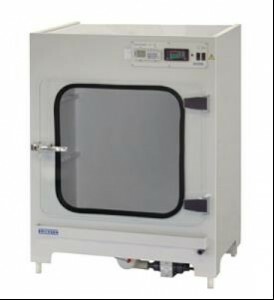 The test chamber with a volume of 400 l and all electric and pneumatic components to operate and control the test cycle are incorporated into a compact rectangular cabinet of plastic material. Complete, with specimen holders, storage tank for 90 l salt solution, pressure gauge and LCD for the temperature regulator and test time counter. For tests in accordance with all salt spray standards. 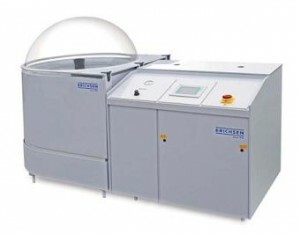 Corrosion resisting test chamber with circular dome or rectangular chamber, of plastic construction. Special dimensions upon request. Operator friendly controls for up to 2 test chambers with volumes of 400 l and/or 1000 l.
Corrosion test apparatus for standardized tests in condensation water climate with or without SO2 addition. The functions “heating”, “gas dosing”, “draining” and “venting” are controlled by a programmable timer. Inexpensive apparatus for testing the corrosion resistance of specimens in condensation water climate with or without SO2 addition in accordance with different standards. Robust 300 l plastic chamber with front door loading. 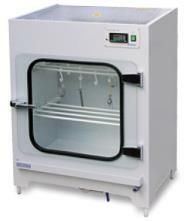 A larger version with 1000 l test chamber volume can be supplied in special design. Microprocessor controlled color comparison cabinet. Automatic operation based on manually preset program sequences. 3 types of illuminants: A, D65 and TL84. Facility for adding UV light to clarify response to the fluorescent effect. Control panel with foil pad keyboard and LCD. Display of operating hours and number of switching cycles for each light source. Accessories: Pivoting specimen table, light diffuser. Three measuring geometries in one portable instrument: 20º, 60º and 85º. With data storage and statistical functions as well as interface for data transfer to PC. Battery operated instrument. Internationally established abrasion test instrument. Standardized tests for 8 plastics decorative coatings, paints etc. Suitable for abrasion simulation of all types by applying appropriate abrading wheels and the use of a wide range of accessories. Damping of the oscillations of a pendulum resting on the coating material in accordance with the standards. Konig and Persoz pendulum interchangeable. Dust cover included in the basic unit. Optional accessories: Opto-electronic counter with acoustic signal at test end with manual or automatic deflection of pendulum.